One of the main elements of a trauma-informed system is that it has strategies and procedures in place to begin with the focus of what has happened to the clients that enter our doors. This webinar will encourage this framework and offer ways to expand it in your services. 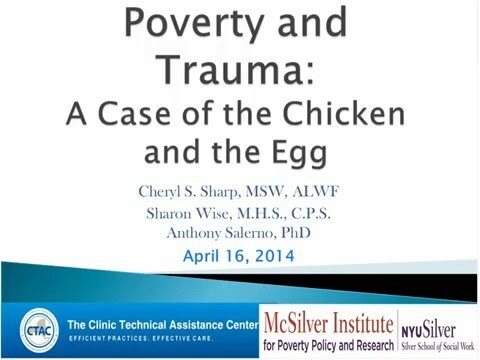 It is intended to examine the bidirectional relationship between poverty and trauma. Two national experts will share their knowledge and expertise with us for an hour as we think about our clients and consumers and what has happened to them.